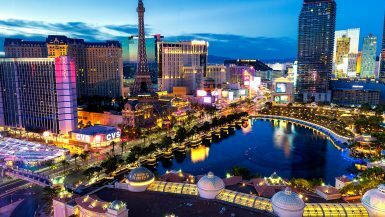 Located just a 10-minute commute from the glitz and glamour of the Strip, is a paradise all it’s own: Downtown Las Vegas. Home to the original townsite and gaming district of the city, the downtown district recently underwent a massive re-planning phase, introducing new centers, museums, corporate headquarters, and remodeling of historical favorites. Now, with all of the fresh paint and new facades, the downtown district is a remarkable gem that the locals love and the tourists are just beginning to discover. The most remarkable transformation of them all? The Golden Nugget. Originally built in 1946, The Golden Nugget is one of the oldest and well-known casino’s in the city, but don’t let their age fool you. 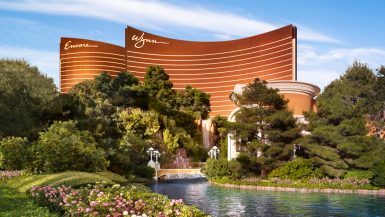 This luxury hotel and casino boasts one of the most impressive renovations of any property on or off the strip. From their whimsical dazzling chandler when you first enter their grand lobby, to their stunning restaurant designs that overlook the casino, to their gorgeously well-appointed rooms and their guest-favorite pool complex: The Tank, it’s no wonder visitors are frequently snapping away Instagram pictures at their property; The Golden Nugget has done it right and is one of the must-visit locations for any Las Vegas trip. 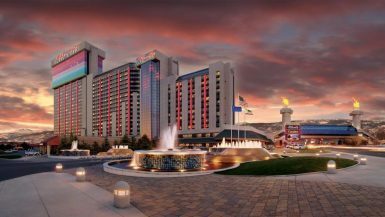 The Golden Nugget may have done it best, if for no other reason, than by providing a glamorous retreat that’s equal parts relaxing and exciting. 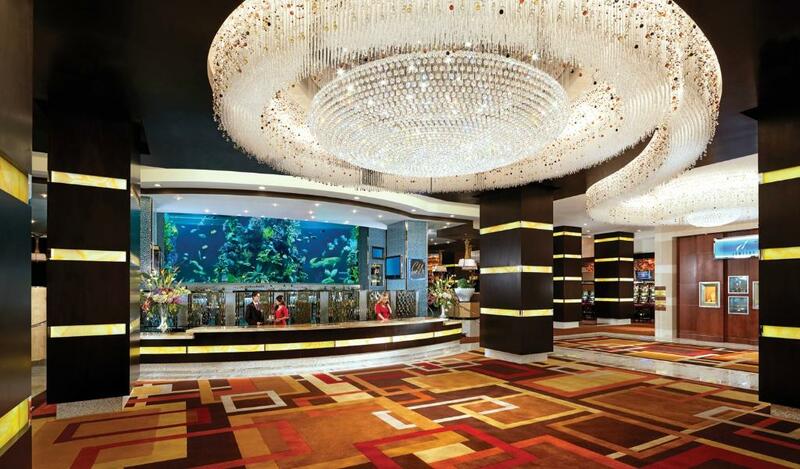 In the land of mile-long shopping halls and twisting and turning casino-floor confusion, The Golden Nugget effortlessly welcomes you with their breathtaking check in as soon as you enter, and while there’s much to see at their property, everything is exactly where you would expect it to be. Here, you don’t need to ask for directions (although their team members are eager to assist) but rather can simply enjoy walking through their gaming area or strolling around the pool deck before grabbing a drink at one of the on-property restaurants or people watching on Fremont Street. I stayed in the Rush Tower, which are apart of their remodeled deluxe guest rooms adjacent to the lobby and a short walk from all of the hotel’s restaurants and pools. I highly suggest booking a room in this tower if you want upgraded amenities including pillow-top mattresses, flat-screen televisions, soaking tubs, and of course, their redesigned layouts that look amazing! While I’ve never stayed at their other towers for comparison (Gold & Carson Tower), all Rush Tower deluxe guest rooms are all at least 20% larger along with offering some breathtaking views! Simply put, The Rush Tower is the tower to stay at and is worth spending a few dollars extra for the added comfort. These rooms are available as is, or for an add-on, you can enjoy their newly released Rush Tower Gold Club suites, which are similar to the room I stayed in, with slightly different wallpaper, and include an assortment of privileges including exclusive key-card access, turn-down service, and VIP check-in. All rooms in this tower have views of the Las Vegas Strip, Spring Mountains or on-property features including the Golden Nugget pool: The Tank. Located on the 19th floor, my room had a beautiful view overlooking both the mountains and Fremont Street which truly set the tone and served as a reminder of the fun waiting outside. 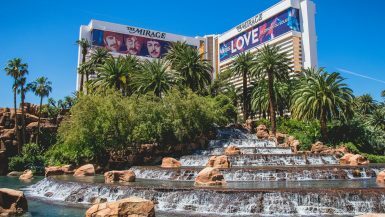 While there are many forms of entertainment to explore at The Golden Nugget, including their spa services, four stores, and impressionist Gordie Brown, they’re best known for their proximity to Fremont Street, and their world-famous pool complex: The Tank. If you’ve never seen the Fremont Street Experience Light Show, now’s your chance! Every evening, the LED canopy comes to life with Viva Vision, the world’s largest video screen that stretches five blocks and performs varying shows every night based on musical talent including Bon Jovi, Queen, and The Doors. The best part? The Golden Nugget is actually partially underneath the canopy, which allows a quick walk from the gaming hall to the center of the action anytime you want. Beyond the night show, there’s also live bands, street artists, and even zip lining right outside your door. There can be some interesting characters in the Downtown area, but for the most part, it’s incredibly fun and makes for a great night on the town. If you’re all about the R&R, spending some time relaxing at The Tank is a must. Not only is their pool complex new, undertaking a $30 million dollar revamp, but it offers the perfect mix of relaxation and fun that guests of all ages and preferences can enjoy. Their pool area has won multiple awards including America’s Most Amazing Hotel Pool by CNN Travel and for good reason. The first thing you’ll notice when you walk through their pool entrance is the massive story-high shark tank in the middle of the swimming area. 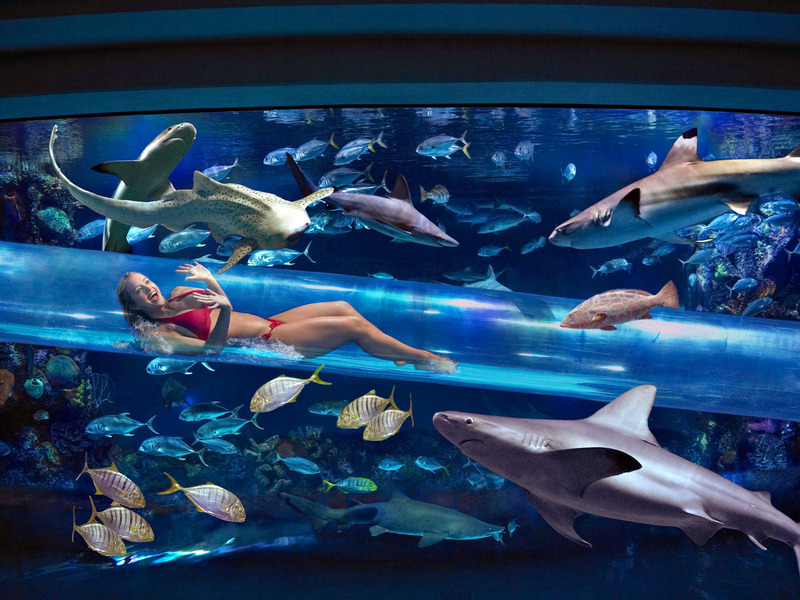 The shark tank provides an impressive focal point that’s only outdone by the fact that they have a three-story waterslide that sends you down through a shark tank! 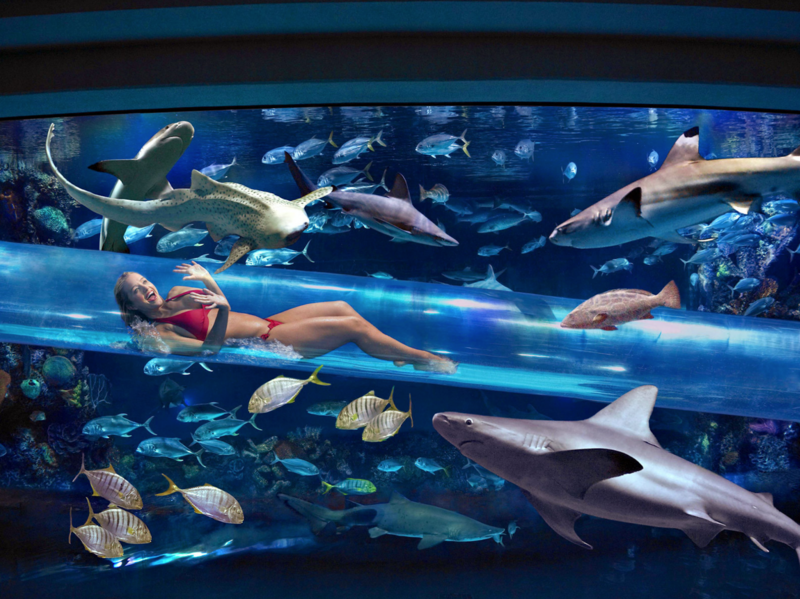 Not only is this one of the only water slides in Vegas, but it’s designed to make guests actually feel like they’re in the tank with the sea creatures on their way down – which certainly makes it the most exciting. 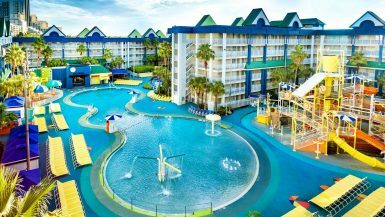 I’m not the biggest fan of water slides but after giving it a try, I was hooked and is definitely something guests should consider taking on when staying here. Beyond the waterslide, there are cabanas and daybeds throughout the pool complex, along with multiple jacuzzis and an adult only pool, The Hideout located on the third story. For those who want a break from family time, The Hideout provides the comfort and space to enjoy laying out and swimming in peace. It’s a smaller more intimate pool and is perfect for swimming in the main complex and going down The Tank every now and then, but then retreating to a less crowded, peaceful spot for laying out or grabbing lunch on your cabana. If you love finding the best restaurants wherever you go, Chart House is an absolute must. Located directly behind the check-in, this top-of-the-catch seafood & steakhouse features delicious offerings set to compliment their 75,000-gallon tropical fish aquarium which is the focal point of the restaurant. Staying mid-week? I highly suggest their happy hour, available Monday through Friday 4 pm to 6 pm where you can get prime rib sliders or lobster and shrimp spring rolls for just $8 and delicious drinks like their Tuaca Lemon Drop for $7 as well. Prices start at a very un-jet setting $3 for drinks and $5 food, with all of the savings put to good use in the gaming area! Craving some Italian classics? The Grotto serves fresh homemade pasta while overlooking the pool complex, and was a hit when I dined here. Not only are the appetizers and main entrees delicious, but they swing around a dessert cart to the table for you to see the options. While everything I tried was delicious, the meatball appetizer is a crowd favorite, and saving room for the strawberry cassata at dessert is an absolute must! In the summer, arrive at The Tank early to secure a spot for yourself or your family to lay out. The pool complex opens at 9 am weather permitting and is usually full of fellow travelers by 11 am. While crowds vary depending on weather, holidays, and the day of the week, it’s best to either arrive by 10:30 am, be ok with not having multiple chairs together, or act like a jet-setter and secure yourself a cabana or daybed! Want a great meal before, during or after some time at the pool? The Grotto is their on-property authentic Italian restaurant located adjacent to the pool towards the Rush Tower, and offers Happy Hour for an extended 2 pm- 6 pm every Monday through Friday, making it a great place to grab an $8 pizza since calories don’t count on vacation! Craving something a bit fancier? Chart House offers a happy hour as well, 4-6 pm weekdays! Want to take a tour? On select days, you can go behind the scenes of how their staff marine biologists oversee their incredible 200,000-gallon shark aquarium. You’ll get to see how their feeding process works and go home with your own souvenir shark tooth! Tickets are $30 per person and tours run Thursday’s through Saturdays. If you’re going to stay at The Golden Nugget, book through them directly. Not only do they guarantee the best rates around, if you’re able to find a lower rate publicly available on the internet, they’ll match the rate and reward you with an extra 10% off. That’s how sure they are about their guarantee! Since different websites continuously offer varying rates, you can book through them directly to ensure you’re well taken care of at the best offer. For more information on The Golden Nugget Las Vegas, feel free to visit their website at TheGoldenNugget.com! Have advice/feedback on The Golden Nugget? Feel free to chime in below on your favorite things to do at this Vegas hotspot!